Dr. Ettayapuram Sunderrajan is a top pulmonology specialist working in Fountain Valley, California. 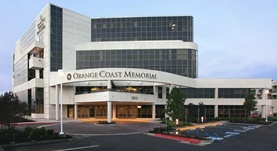 He offers his services at Orange Coast Memorial Medical Center. He did his internship at John H. Stroger Hospital of Cook Count and completed his residency program in Internal Medicine at John H. Stroger Hospital of Cook County, where he also did a fellowship in Pulmonary Disease. He has an experience of more than 20 years.